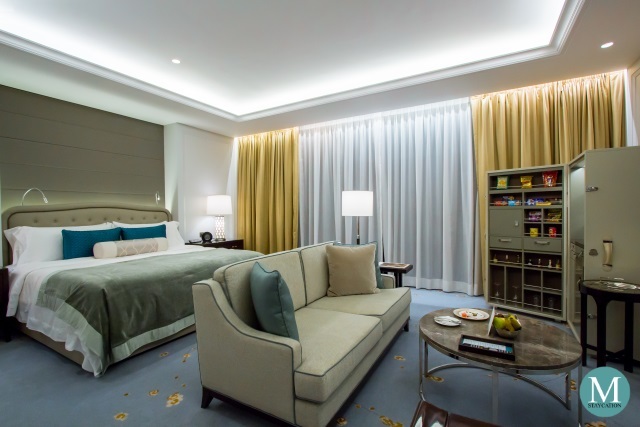 The Deluxe Room & Grand Deluxe Room are the lead-in guestroom categories of The St. Regis Kuala Lumpur. 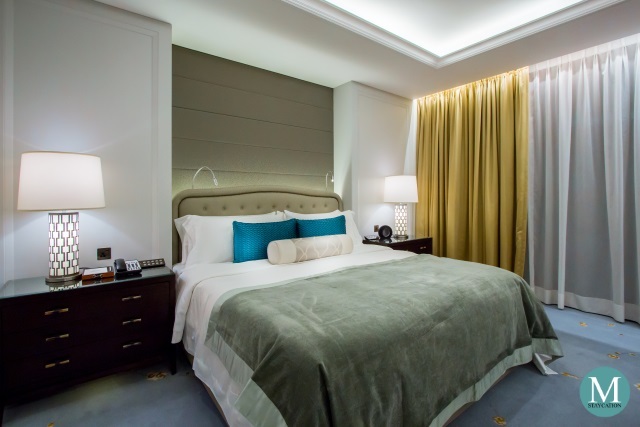 Both measuring 63 square meters, the Deluxe Room & Grand Deluxe Room are identical in design and layout, with the former located on the lower floors while the later located on the higher floors. 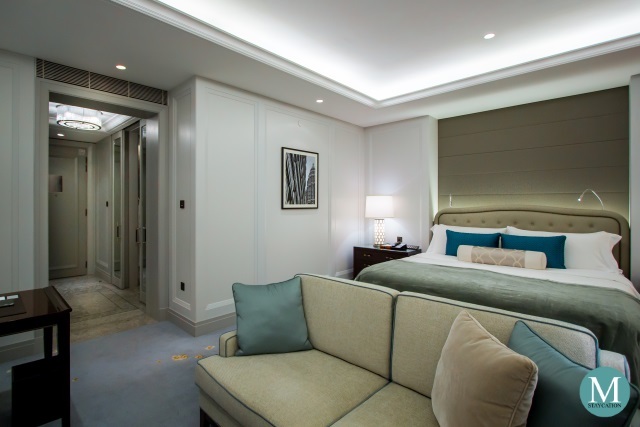 The room features a spacious walk-in wardrobe with lots of storage space for luggage and clothes. 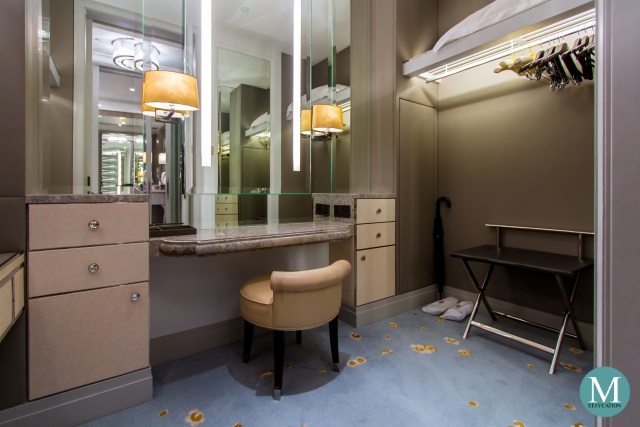 It also has a vanity table where guests can place their personal toiletries. All guests staying at The St. Regis Kuala Lumpur enjoy the luxury of a 24 hour butler service, including unpacking and packing of luggage. 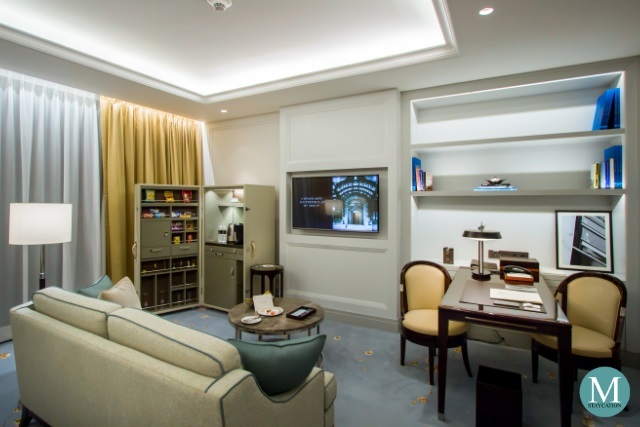 The room's entryway leads to the living area featuring a study desk, a comfortable sofa and a minibar. 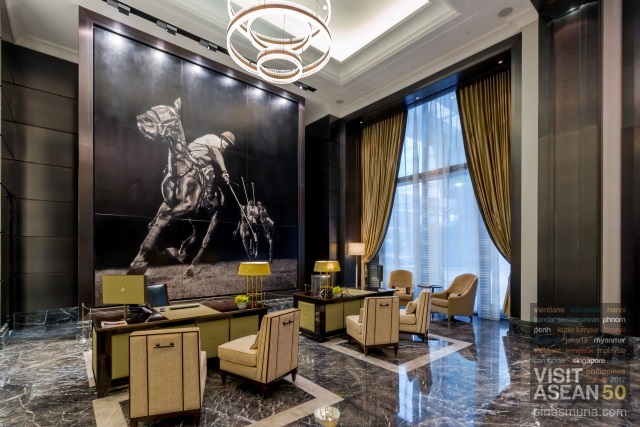 Consistent with the hotel's old-world elegant American design, the room also feature design elements such as leather chairs with saddle stitches. The minibar itself was fashioned into a vintage leather luggage. High-speed wifi Internet connection is available inside the room. There's also plenty of power outlets around the room and near the study table, all with universal sockets. The flatscreen television is well positioned so that the screen is visible from every corner of the room. Local and international satellite channels are available. 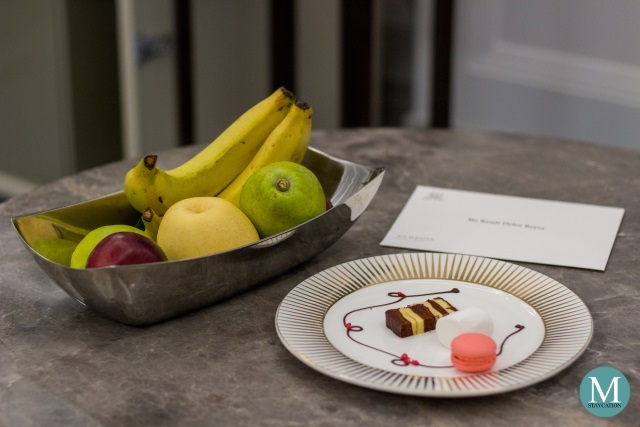 Welcome amenities include a basket of fruits and a platter of desserts. Upon your arrival to the room, guests will be offered with a welcome coffee or tea or even chocolate. A welcome note handwritten by the resident manager also adds a more personal touch to your stay. 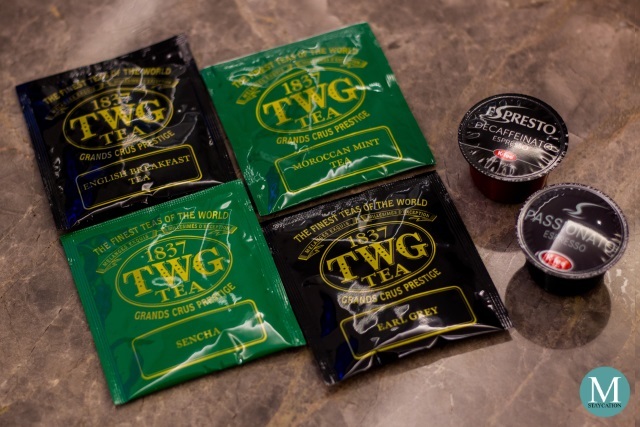 All-day complimentary in-room coffee and tea are also part of the butler service. 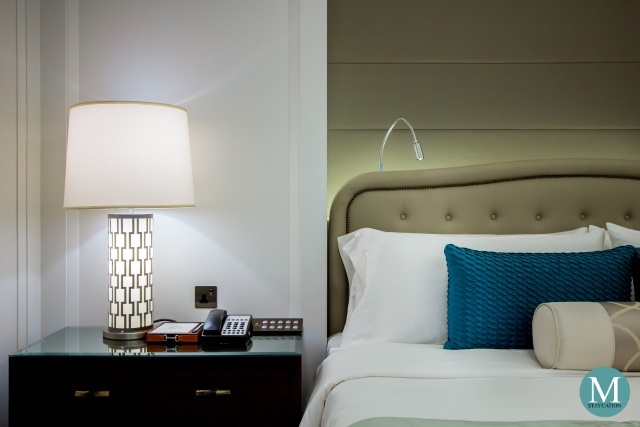 You can even request for a wake-up call followed by a freshly brewed coffee served in your room. 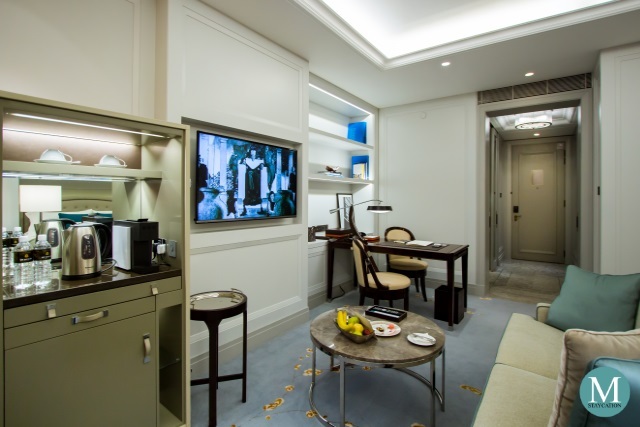 None the less, you can also prepare your own coffee or tea from the minibar. All other items from the minibar are chargeable. Right next to the living area is the sleeping area. 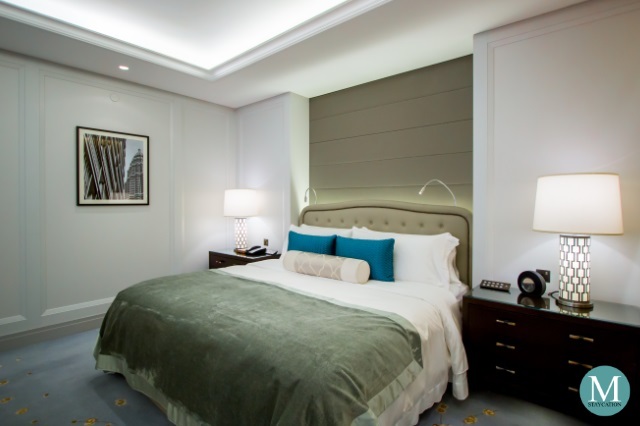 Deluxe Rooms and Grand Deluxe Rooms are available in a king-bed or a twin-bed configuration. The Deluxe Room where I stayed was furnished with a king bed. I personally love the grey and blue theme of the room. Blue has a very cooling and relaxing effect to the eyes which adds to the overall quality of sleep. Touches of gold add warmth and more luxury feel to the room. The bed is definitely the highlight of my stay. It is one of the most comfortable beds I experienced. It has the perfect firmness that adjusts to the contours of the body while evenly supporting the whole body. Nothing beats the feeling of sinking in a thick and plush down feather bed topper. High threadcount linens were very fort to the skin. Equally impressive was the bathroom featuring separate bathtub, walk-in shower and water closet. There's a his and hers basin with a spacious marble countertop. The floor and the walls were also covered with marbles. The walk-in shower was fitted with a handheld and a rainfall showerheads while the water closet was equipped with a fully automated toilet. High quality towels and bathrobes are also provided. 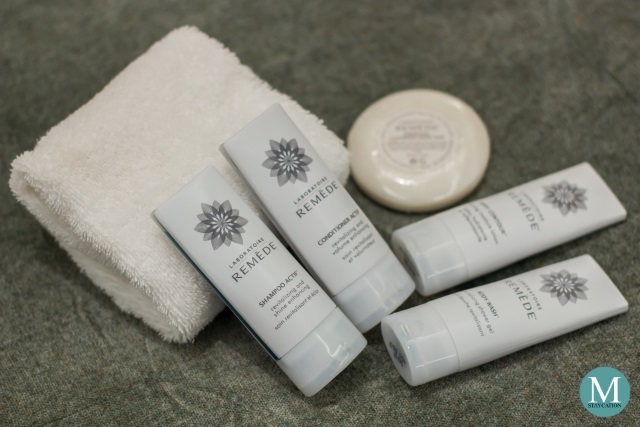 As with all St. Regis Hotels & Resorts properties, The St. Regis Kuala Lumpur features body and bath amenities by Laboratoire Remède, a New York-based producer of skin- an hair-care products. 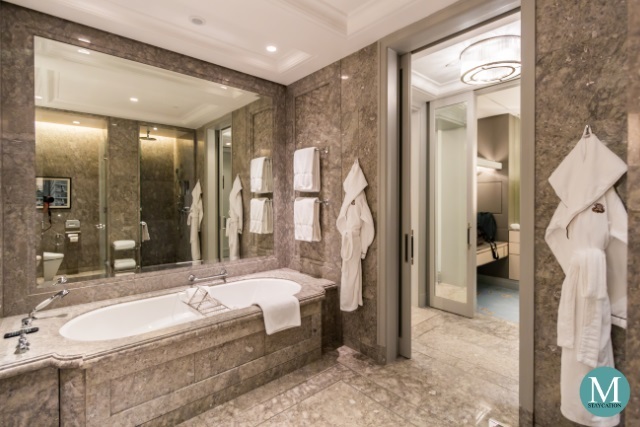 The St. Regis Kuala Lumpur clearly set the bar higher for luxury accommodation in the city. 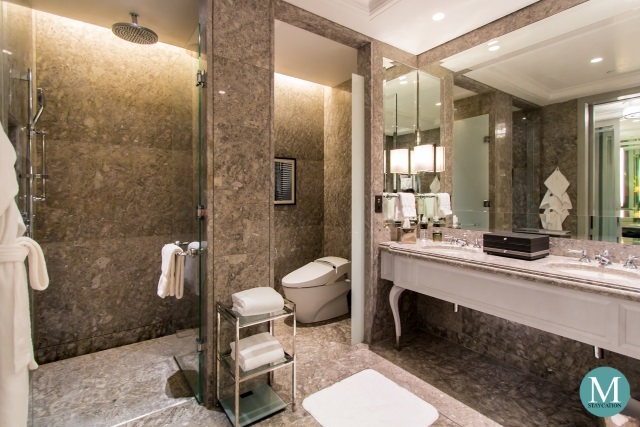 It is no wonder that heads of state and royalties love staying here at The St. Regis Kuala Lumpur. I will definitely stay here again in my future trips to Kuala Lumpur.